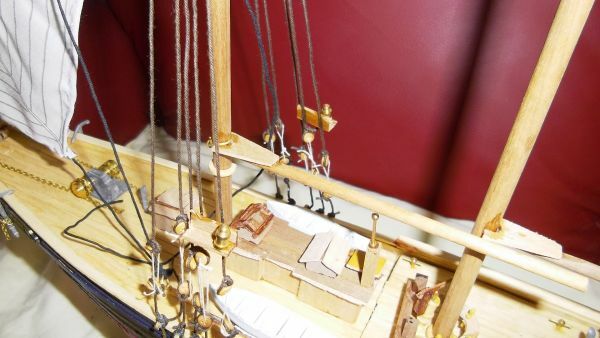 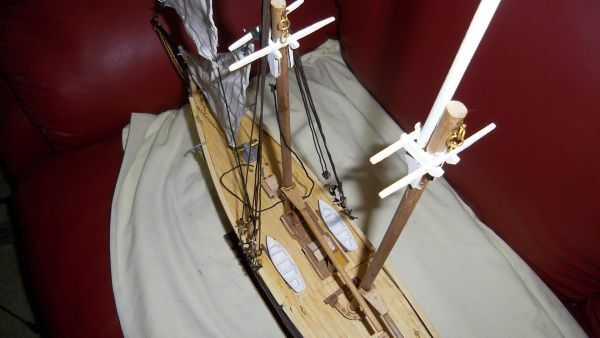 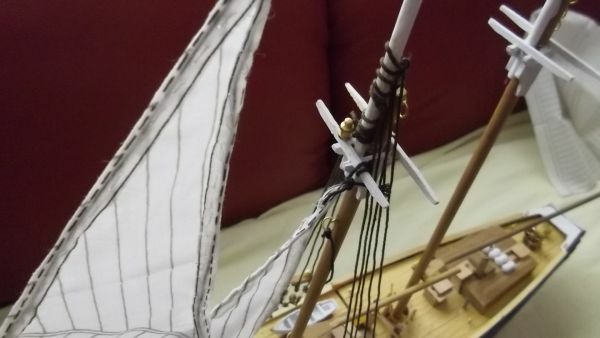 added lamps to ratlines and foremast. 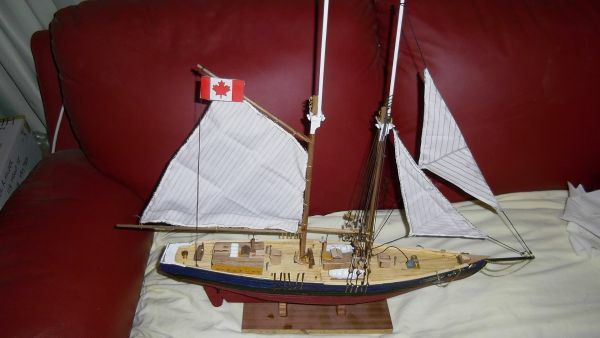 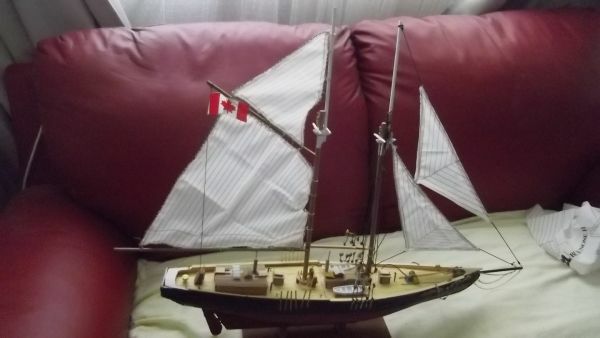 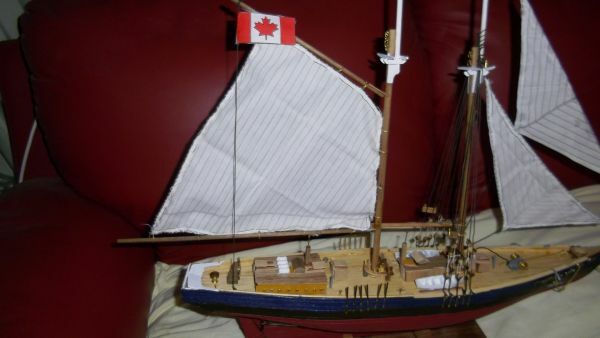 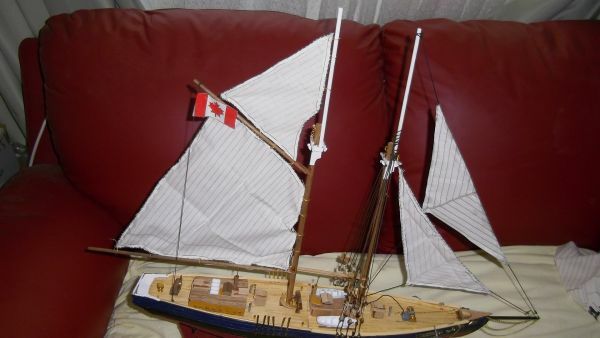 added aft sail and yard arm. 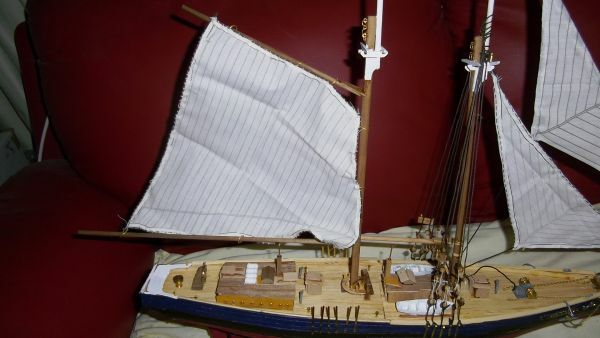 added flag and a more sails supports for the aft sail. 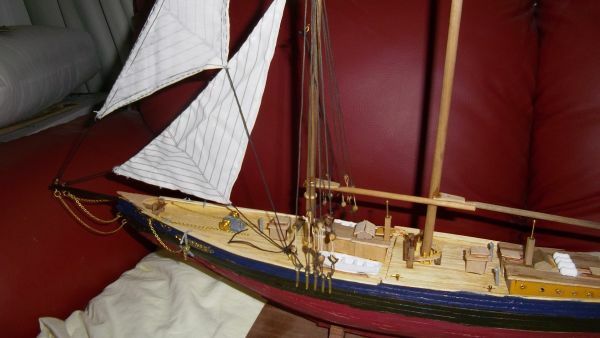 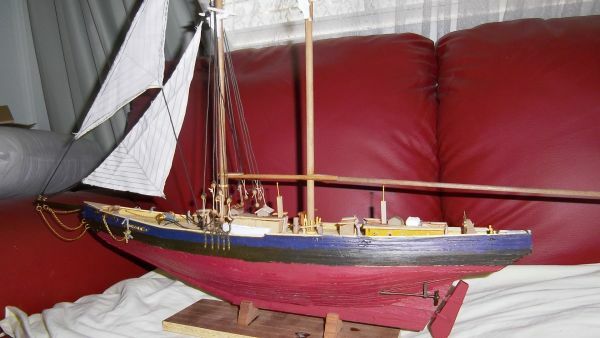 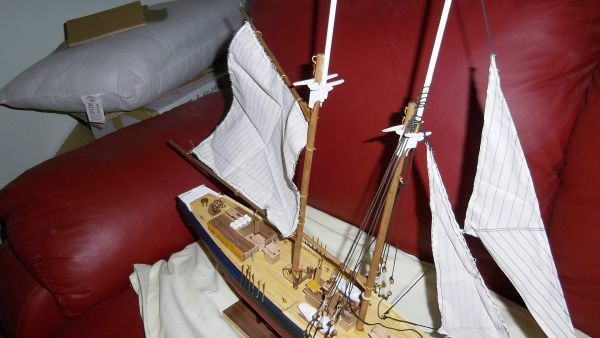 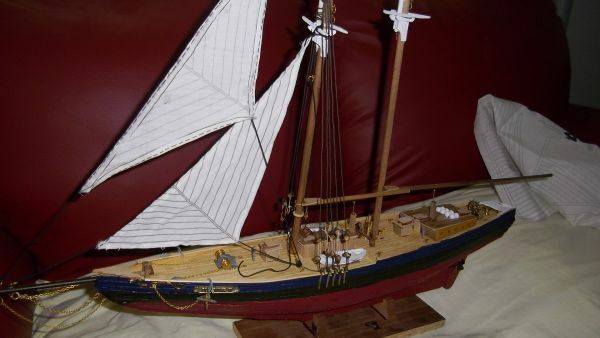 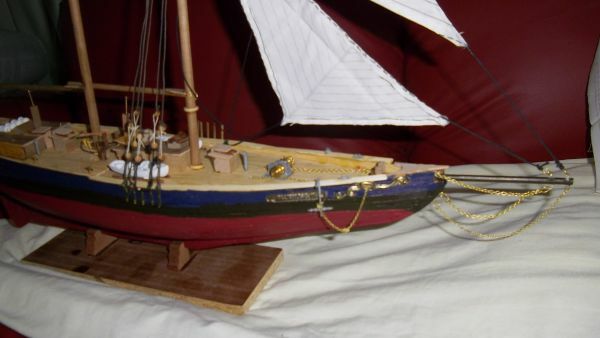 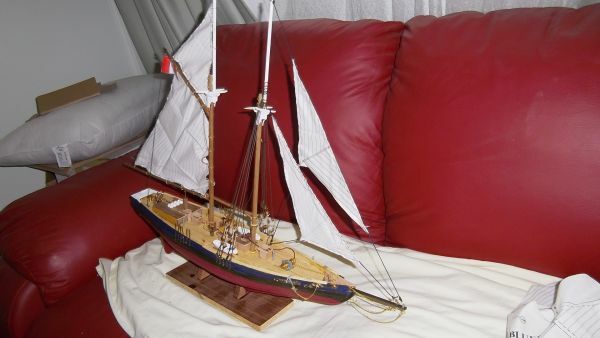 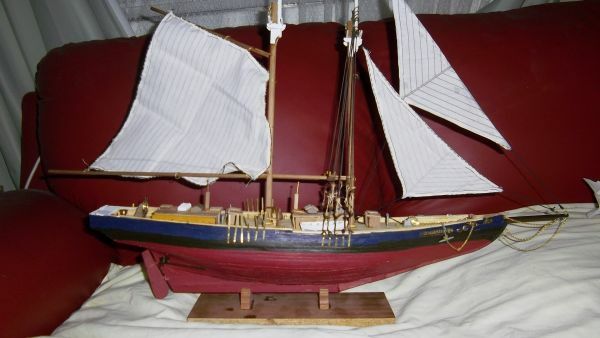 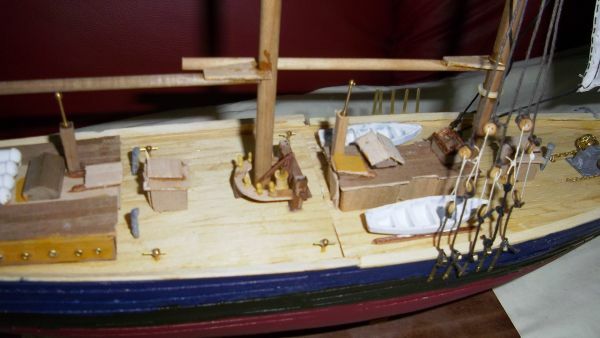 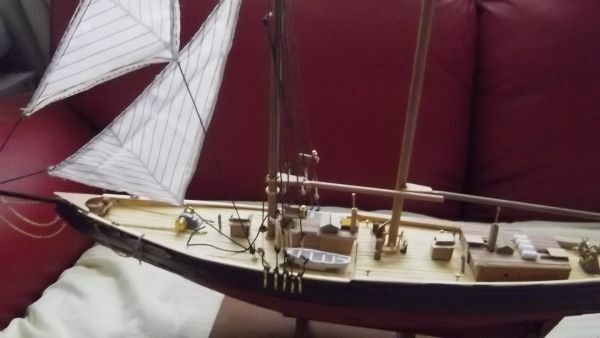 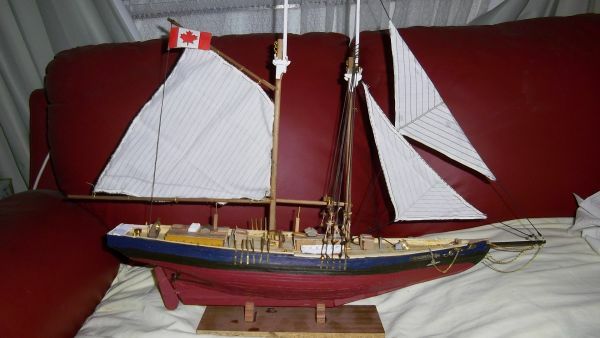 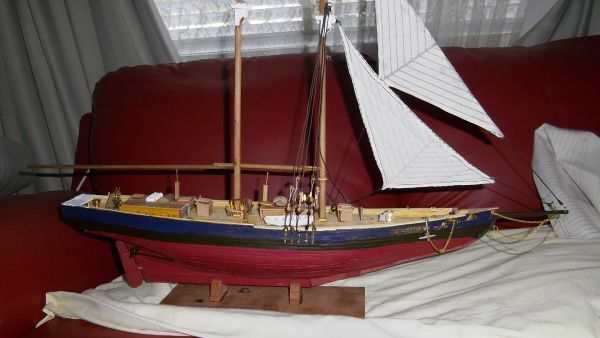 Thanks Mario, looking forward to building the Billings Boat Norske Love a 70 gun Danish Galleon next. 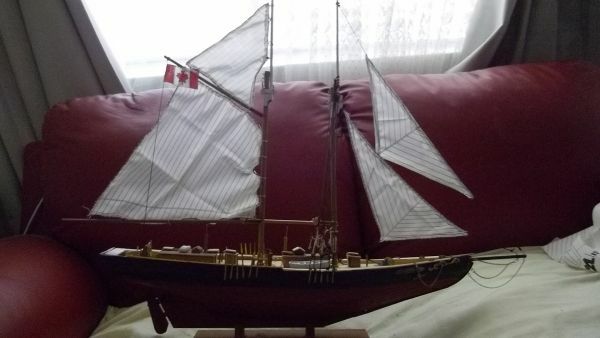 added another aft sail on the main mast.